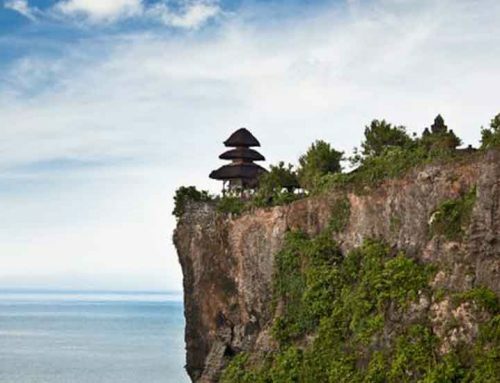 Ulan Danau, or Pura Bratan, is a very significant Shaivite water temple on the island of Bali. It is a famous picturesque landmark due to its architecture and natural surroundings. 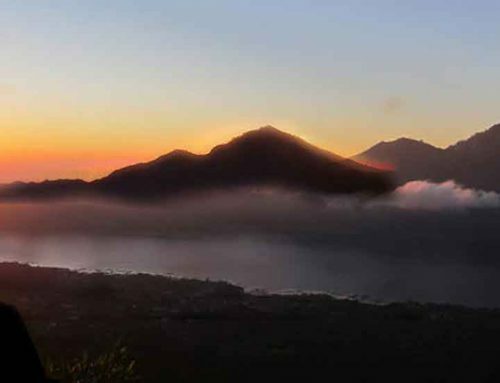 This major temple complex is set on the shores of Lake Bratan with an amazing backdrop of the nearby mountains of Bedugul. Water temples tend to the entire region in the outflow area; the downstream region is dotted with many smaller water temples that are specific to each cooperative irrigation management (subak). 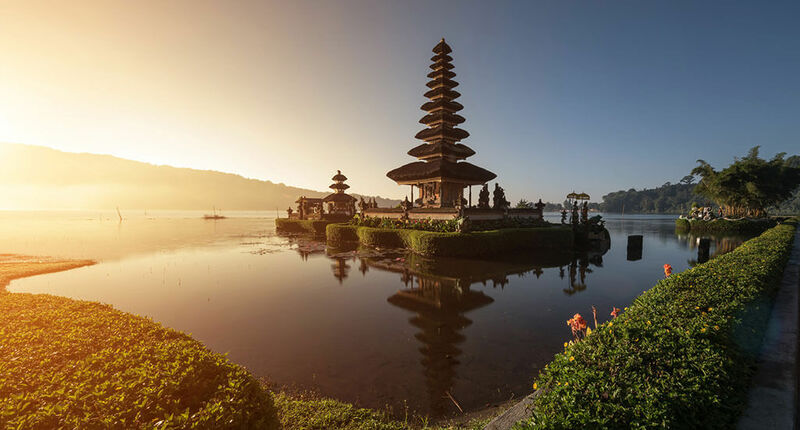 Built in 1633, this temple was built to worship the main Hindu Trinity of gods, Brahma- Vishnu- Shiva, as well as for holding ceremonies for the Balinese water, lake and river goddess Dewi Danu – which is due to the significance of Lake Bratan as a main source of irrigation in central Bali. The 11-story pelinggih meru tower in the complex is devoted to Shiva and his consort Parvathi. Buddha’s can also be found at the shrine of this temple. Ulan Danau also houses a megalithic artifact such as a sarcophagus and stone tablet. This has led to the supposition that it was a sacred site before the Hindu temple was erected. Lake Bratan is also called the Lake of Holy Mountain because of the area’s fertility. Close to the lake, visitors can rent fishing gear and bait to spend some relaxing moments on the lakeside. The Eka Karya Botanical Gardens is also a must-see attraction of the Bedugul region, which can be easily found in the nearby region. 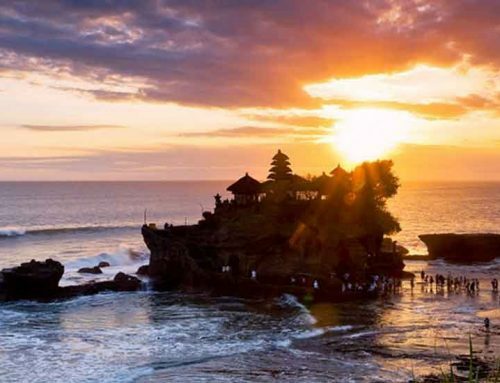 Ulun Danu Beratan temple’s anniversary ceremony or Piodalan is held every Kliwon Julungwangi Tuesday on the Hindu Balinese calendar cycle which is 210 days. A grander celebration is Piodalan Agung, which occurs every 420 days. The magnificent display of the Balinese architecture – that is the Ulan Danau – must not be missed, as the serene lake views and cool hills of the region add to this magnificent experience.